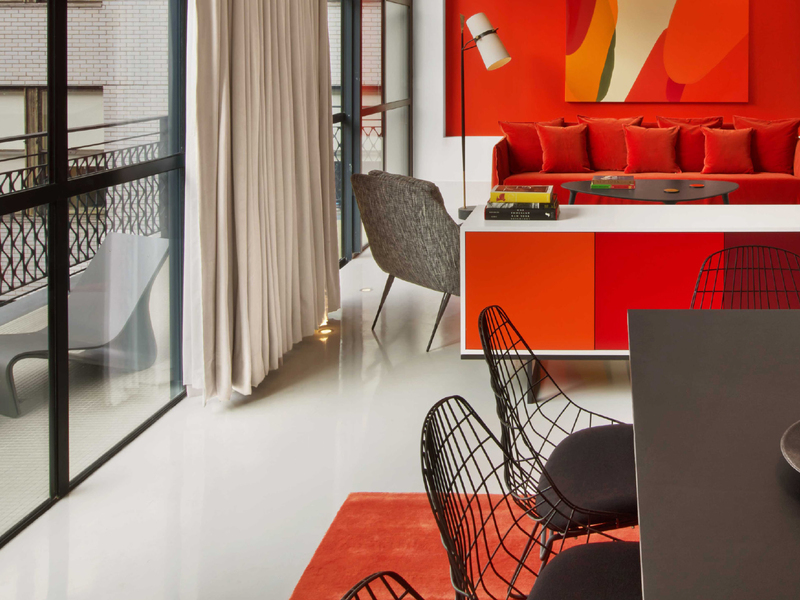 Situated on the 6th floor, the orange Penthouse Suite with Terrace burns with color. Floor to ceiling sliding glass doors open onto a brightly tiled terrace with classic New York City views. The suite is airy with a spacious living room area. The beautiful kitchen is open to a dining area seating six. A floating wall gently divides the bedroom from the living area, and has an LCD TV on both sides. 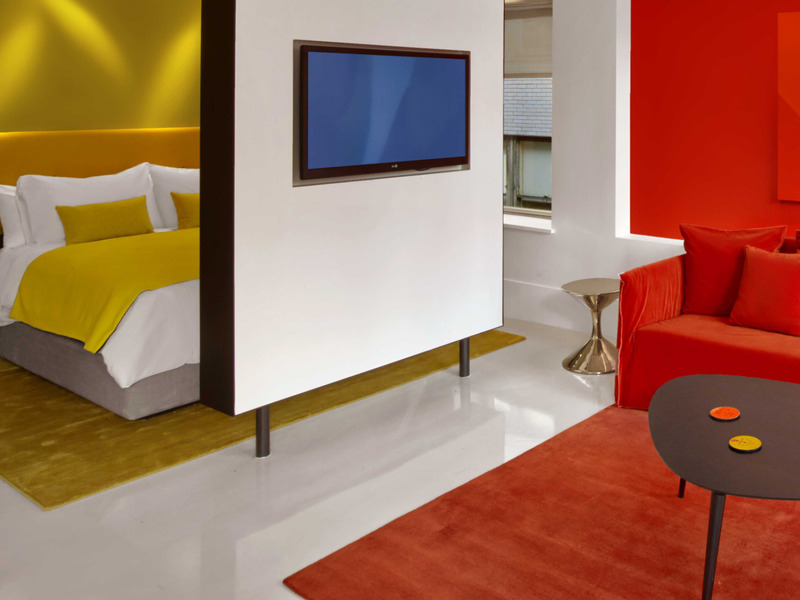 For longer stays, there is ample closet space with orange interiors. The room can be adjoined with our Studio Queen Room with Terrace to create a two-bedroom suite. The Penthouse suite with terrace is available in orange. 600 sq. ft. Terrace is an additional 150 sq. ft.